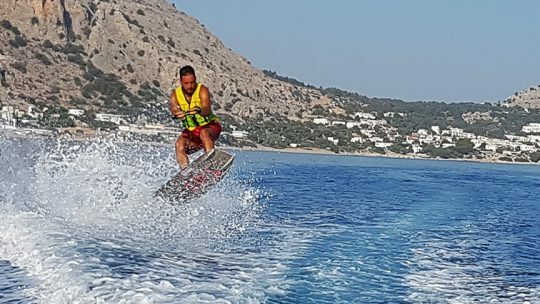 Either beginner or exprerienced rider do not hesitate to try out water ski in the most suitable sea surface in Rhodes, Lardos beach. 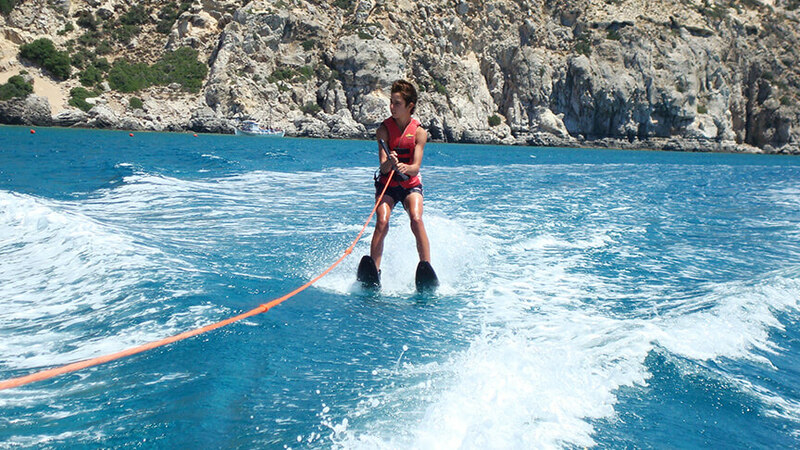 Water ski is a sport that combines a total full-body workout with the opportunity to enjoy and have fun in the sea. 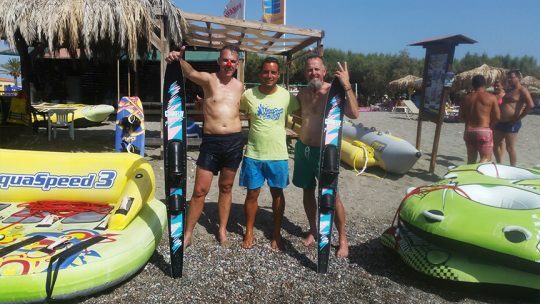 You can have lessons for beginners or for advanced who want to improve their skills, with double-ski, single-ski or wakeboard. All courses are led by qualified instructors by British Water Ski and Wakeboard federation and by Greek Waterski federation, with high safety standards. 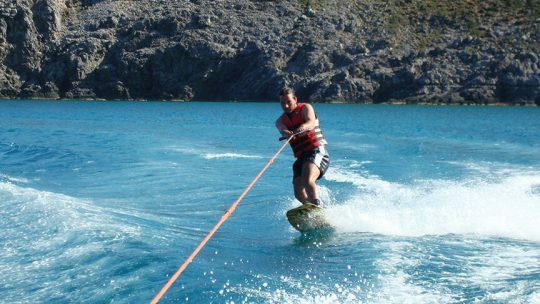 Take the decision and the staff of Rodos Water Sports Action will make sure that you will learn how to water ski from the very first day. Are you looking for one to one lessons either on your own or as a family? Rodos Water Sports Action can take you from absolute beginner to competent pro with the aid of friendly coaches, great facilities and all the equipment needed to make your watersports adventure a fun and memorable experience. The best time to try or improve your skills on Waterski/Wakeboard is in the mornings. Usually around 09:30-10:00 every day, the sea is very calm and there are not many boats or jet skis in the water. Contact the staff for the weather conditions of the upcoming mornings. * 5-day plan with one lesson/ride every morning. 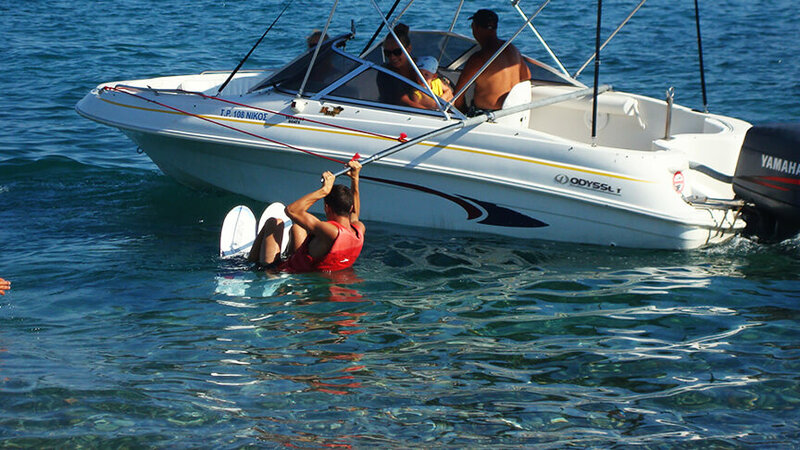 Includes complete beginner's lesson and 5 rounds of waterskiing/wakeboarding. * 5-day plan with one round every morning. Length of each round is aprox. 10 mins. * 10 rounds plan with one or two rounds every morning. Length of each round is aprox. 10 mins. My friend and I had not done water skiing since our early 20s and really wanted to give it a go. This team were so helpful from the off suggesting a good time to come when they would have time to spend helping and when the water would be good. I was really nervous and they put me at my ease giving me confidence. I was thrilled to get up on the skis and wish we'd done it at the start of the holiday. Could not recommend this place highly enough. A fantastic, friendly and professional team. Thanks to all. Great team! We had a lot of fun, Nikos and his team are very professional. 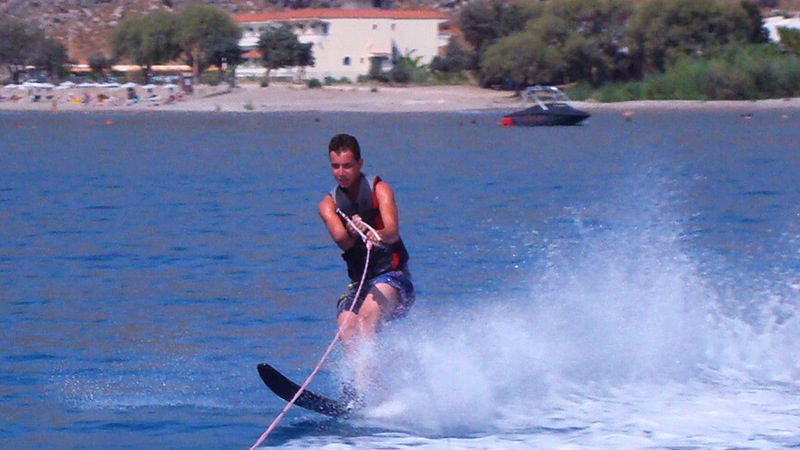 We did jet-ski, parasailing and water ski, thanks to Nikos our kids learned waterski. I will try wakeboard again next year 😎 We definitely recommend.